Heejae Lim, founder of TalkingPoints, an app that translates text messages from educators into a parent’s home language, likes to tell a story of a San Francisco middle school principal. The administrator wanted to connect with the parents of a Spanish-speaking student at risk of failing. He tried visiting the family at home twice, to no avail. He turned to the TalkingPoints app, sending a text message — which was translated into Spanish — and received an instant response, starting a dialogue between school administrators and this family that had never before existed. 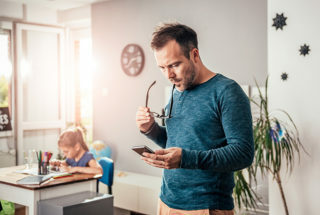 Whether it’s TalkingPoints; Possip, a text-message-based system that allows parents to text feedback to teachers and schools; or ClassDojo, which allows direct messaging within an app to connect parents to the inside of their child’s classroom, the concept of direct messaging between educators and families has taken off in a big way. “Texting is the best right now because it is meeting parents where they are. It is opened quickly and people are used to it,” Lim says. “If that way of communication and that channel were to change, if the preference of parents were to change, the answer would be different. While services such as TalkingPoints and Possip send messages directly to a phone — TalkingPoints allows users to receive messages within its app or by text — other apps, such as ClassDojo, have found that direct messaging remains a crucial aspect of their communication, even inside an app. McKinley says parents find ClassDojo’s technology easy to understand. “One of the big reasons why we are seeing it grow and be important is parents are wanting it more and more,” she says. “People have their phones on them, and it gives them an easier way to communicate.” Plus, with phones largely tied to people, messaging allows communication between family and school no matter where the parent is located on a given day. Lim says TalkingPoints offers translation services — teachers and parents send messages in their own languages and proprietary translating software does the rest — both within the app for those who don’t have a stable phone number and outside the app for those who don’t have reliable Wi-Fi connectivity. The dual avenues solve accessibility concerns. TalkingPoints, which is on track to reach a million families this year, says 90 percent of parents using the system feel better connected to the school, 85 percent of families are having more conversations with their children about school at home and 99 percent of teachers can reach parents they weren’t able to before. Dowell says the biggest hurdle she sees in gaining school acceptance comes in having accurate contact information. And even though Possip keeps phone numbers updated, solving that problem, she says some schools have reservations about the invasiveness of texting. “However, talking to parents through texting allows them to more quickly identify the sender and message, so texting can be less invasive and onerous than a phone call,” she says. Even as schools find this new avenue of access to families, Dowell warns that text messages shouldn’t turn into an impersonal, modern-day flyer. “Parents get frustrated when the information doesn’t apply to them or it doesn’t provide enough detail to follow through on,” she says. That’s why Possip focuses on parents sending incoming messages to schools.